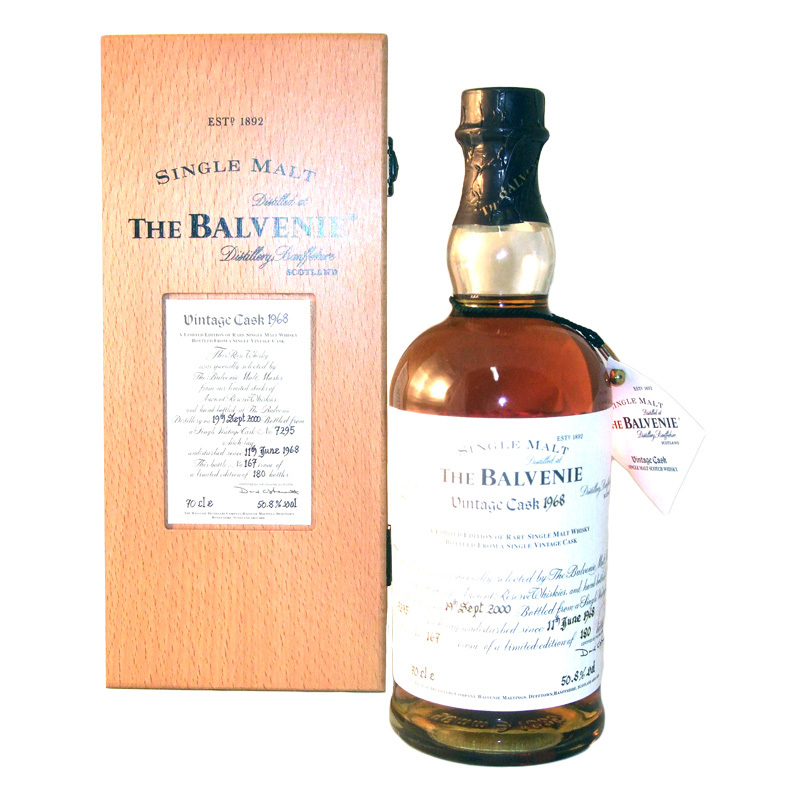 Description:1 bottle Balvenie - Vintage Cask. In wooden presentation box. 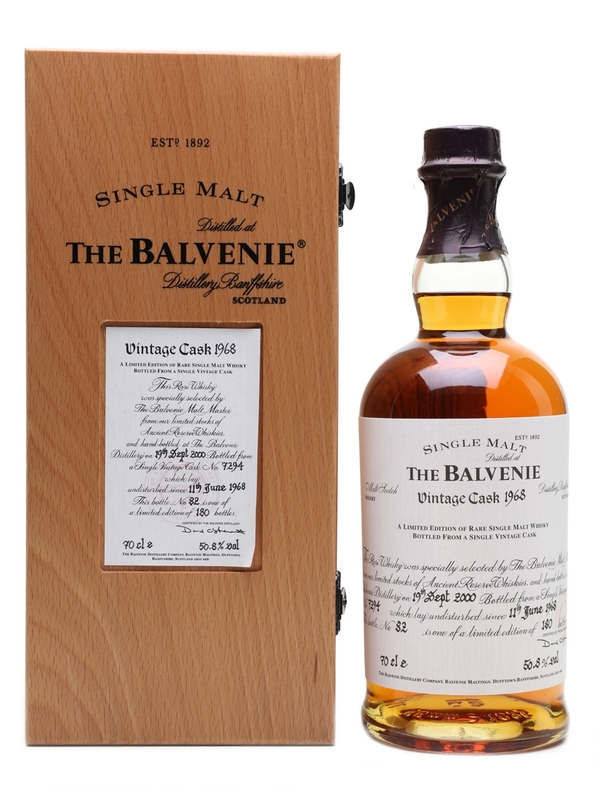 Cask number One of bottles. 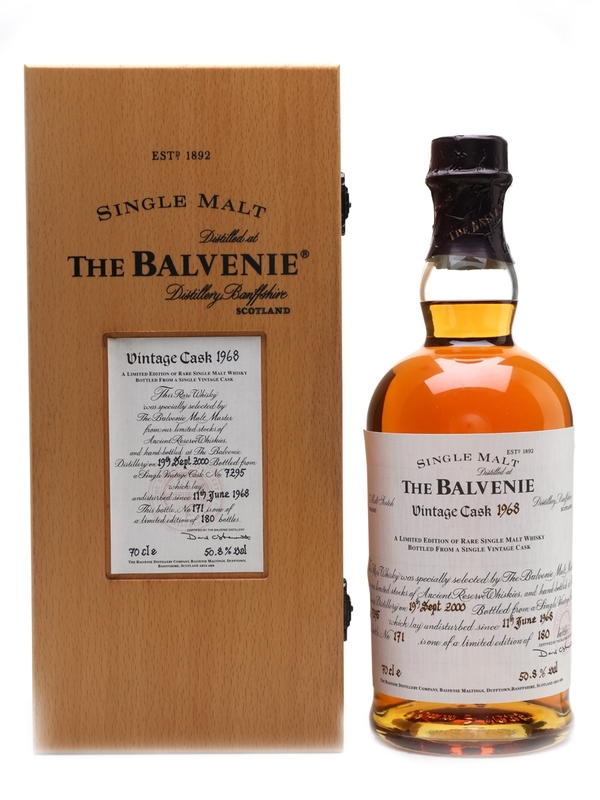 70cl. %. Level base of neck. Excellent conditi.